One of the worst feelings that I have experienced in my walk with the Lord is the brokenness after a complete failure to trust God’s provisions. This is something I have dealt with again recently and wanted to share. God knows our weak points. We are not to stay weak in these points, but we are not to allow the spirit of condemnation to rule in our hearts either. I am not taking God’s mercy and grace for granted, but I am exhorting you to pick that ball up and keep running for the prize. God is for you! He will never forsake you in your weaknesses. Keep crying out to Him and do not run from Him when you know you have disappointed Him. He is Abba (Pappa, Daddy, Father). He protects and provides and nothing that we can ever do will stop Him from loving us. He will not cancel our purpose and throw us away with the dirty bath water! I will endeavor to keep trusting. Not in my own efforts to have faith, but in His faithfulness and grace to me. I will keep asking the Holy Spirit to connect me to the heart of the Father and make know His perfect will for my life so that when it is time to walk out in faith, make decisions, and know which doors to walk in, I will experience His peace. When I fail again, I will seek for His peace and forgiveness. He is faithful and just and forgives us and cleanses us from all unrighteousness (I John 1 8-10). We should live each day in a way that we are reaching forth for maturity in our walk and we should feel broken and hurt when we fail. That is healthy and it shows that we have the Spirit of God that convicts us. The Spirit will also convince us that we are still children of God, even in our weaknesses. 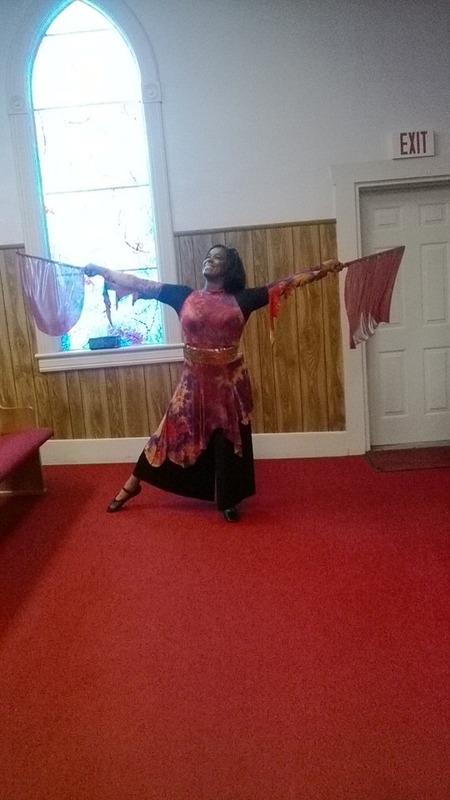 I have included a clip of a dance ministered at our local museum a couple of weeks ago. It is not the best of quality but I pray that it will bless you! I do have a clip of my grand-daughter as well doing some free style choreography at one of our practices to the song: God is for me by Kari Jobe; however, I keep getting “freezes” on it on my system. I am also including it, just in case your system will handle it better! I do not have professional videography skills yet, but please bare with me! Have a wonderful week. Good morning worshippers! Just wanted to chat a minute about day 7 of the devotional, “The First Fruits of My Morning”. What we want to pull out of our devotional this morning is that God has enough sustaining power in His “bread”, His Word to keep us and fill us as we hunger and thirst after righteousness! This will also increase our appetite to worship Him like never before. Hope you have a wonderful day or had a wonderful day depending on when you are reading this article and in case you did not read the devotional, I have copied it below for your enjoyment and study. Until next time, I love you with the love of Jesus and grace and peace be multiplied unto you! Good morning! We are still talking about the word of God on this wonderful morning. The children of Israel were commanded by God to gather their manna (bread) each morning and they were to gather a certain amount for their nourishment and sustainment. This was a miracle and they did not appreciate it at first. Pay attention to verse seven in this chapter: the people murmured because they were afraid and wanted to go back to Egypt because of the lack of food. God was angered by the murmuring and provided them the bread from heaven to prove them and teach them a lesson about His power and provision. Worshippers, what we want to gain from this is that it is a good idea to gather our daily bread in the morning as well. We can gather just the right amount and God will ensure that it will sustain us! Also, we want to note that Jesus Himself stated in the book of John that He is that bread that came down from Heaven. The forefathers ate the natural bread and died, but Jesus is our everlasting sustainer and our life. It is extremely important to eat of His flesh and drink of His blood! In other words, let us commune with God through our LORD JESUS CHRIST by studying and digesting His Word daily. This will increase our appetite for worship.